Tell the media you’re participating in Manufacturing Day! 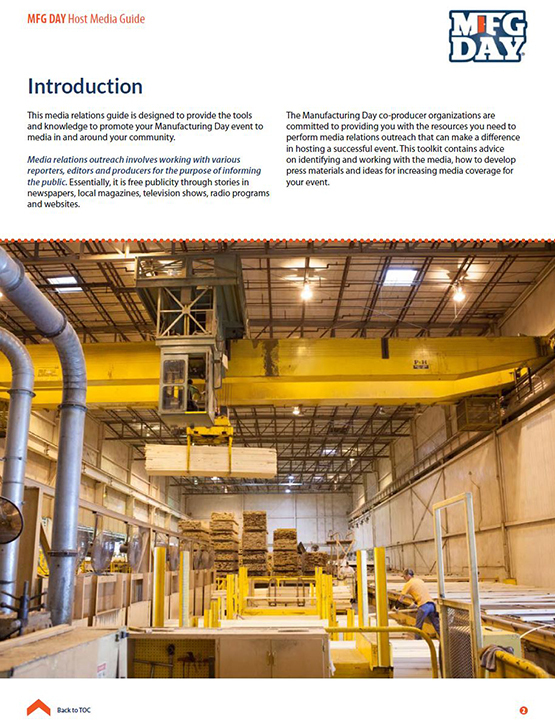 Generating excitement for your Manufacturing Day event is important. The fact that you’re hosting and reaching out to inform the community about what your organization does, the kinds of careers it offers, and how it contributes to the local economy is news. This resource will help you plan your promotional timetable, show you how to create a letter to the editor, write a news release and media advisory. It will also advise you as to how to use your organization’s social media accounts to promote your event. Click here to download the Media Guide.